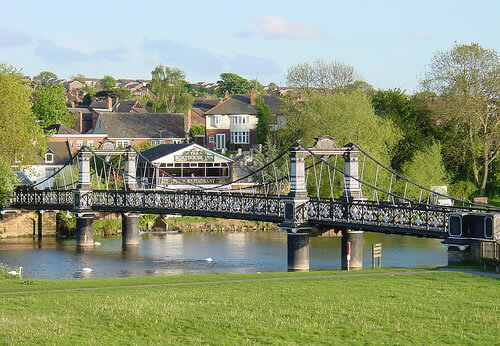 The Ferry Bridge was gifted to the town by Michael Arthur Bass (at the time, Baron, later to become Lord) to replace a simple ferry boat that operated at around the same site. Built by local engineering company, Thornewill and Warham, it was opened in 1889, the same year as the Eiffel Tower in Paris, but was met with much greater initial enthusiasm! Very shortly afterwards, iron construction was largely replaced with superior steel. It remains one of Burton’s most distinctive landmarks but now in need of considerable restoration to bring it back to its former glory.